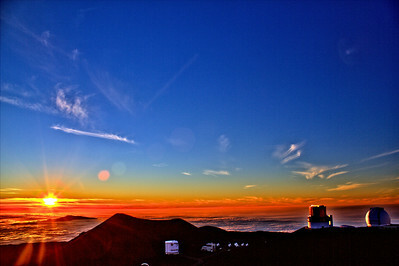 Sunset and night shots taken at the Keck Observatory high atop Mauna Kea on Hawaii's Big Island. 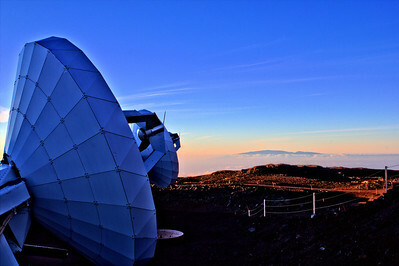 These shots were especially enjoyable as they were taken on the night of a full moon and those who stuck around after the sun set were treated to Jupiter rising in the East followed shortly after by a spectacular orange/copper and somewhat distorted full moon rising over over the clouds below. 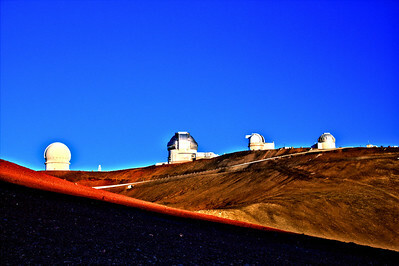 The Keck Observatory sits on the "highest mountain in the world as measured from the sea floor." 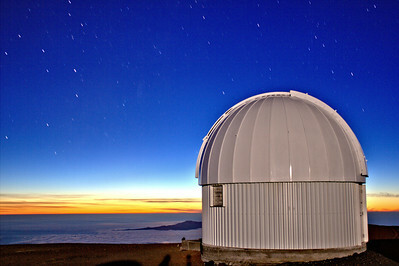 Keck Observatory on Hawaii's Big Island atop Mauna Kea - These, as most of the shots, were taken in total darkness with some illumination coming from that night's full moon and at a temperature of only 43 degrees! 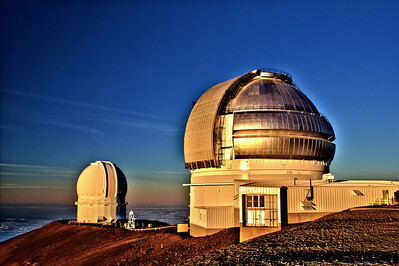 Keck Observatory on Hawaii's Big Island atop Mauna Kea - These, as most of the shots, were taken in total darkness with some illumination coming from that night's full moon and a temperature of only 43 degrees! 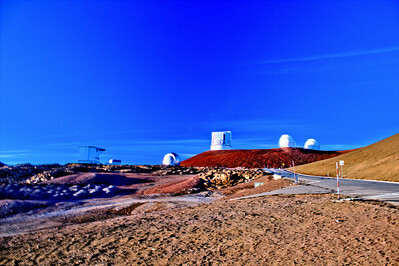 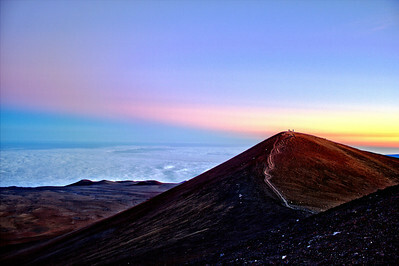 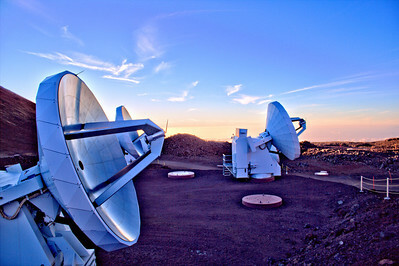 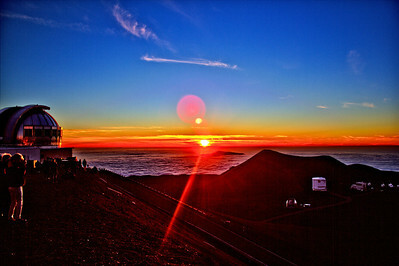 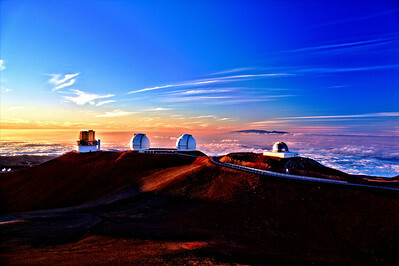 Keck Observatory on Hawaii's Big Island atop Mauna Kea - taken just before sunset and a temperature of only 43 degrees! Keck Observatory on Hawaii's Big Island atop Mauna Kea (B & W) - taken just before sunset and a temperature of only 43 degrees! 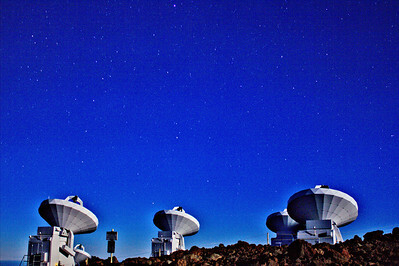 That's Subaru on the left, the mighty Kecks in the center, and NASA on the right. 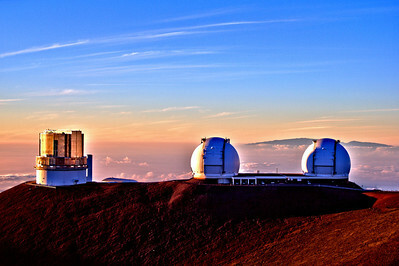 You can just see the Kohala Mountain poking through the clouds, then the ocean, then Haleakala on the Island Maui standing proudly - taken just before sunset and a temperature of only 43 degrees!